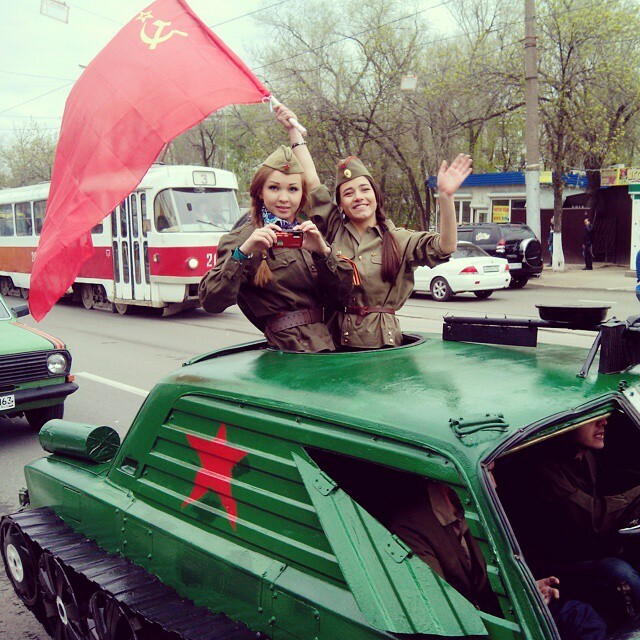 Yesterday Russia celebrated Victory Day, the 70th anniversary of the defeat of Nazi Germany. 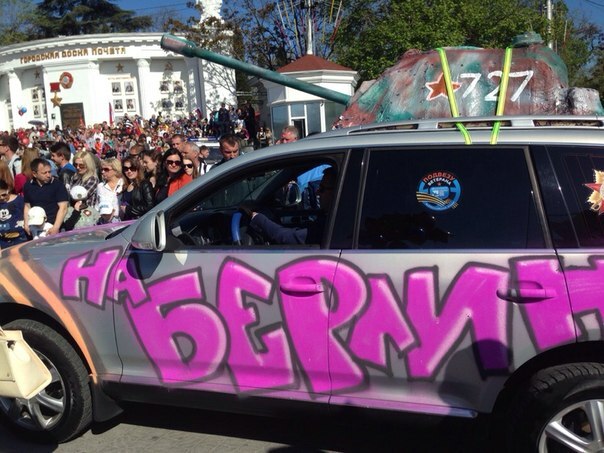 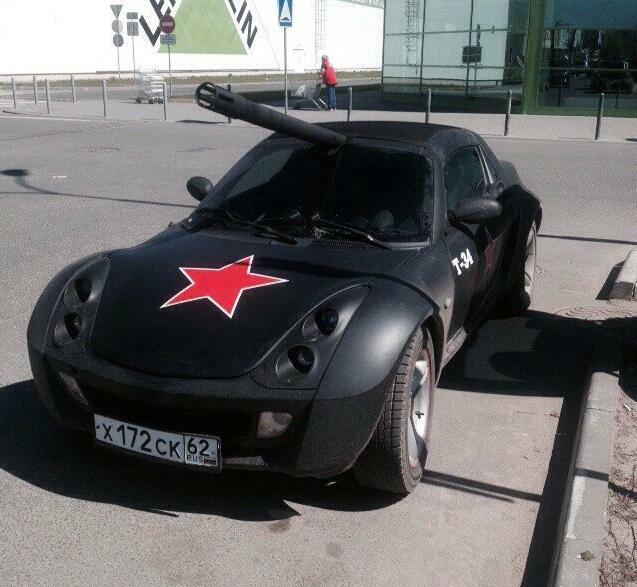 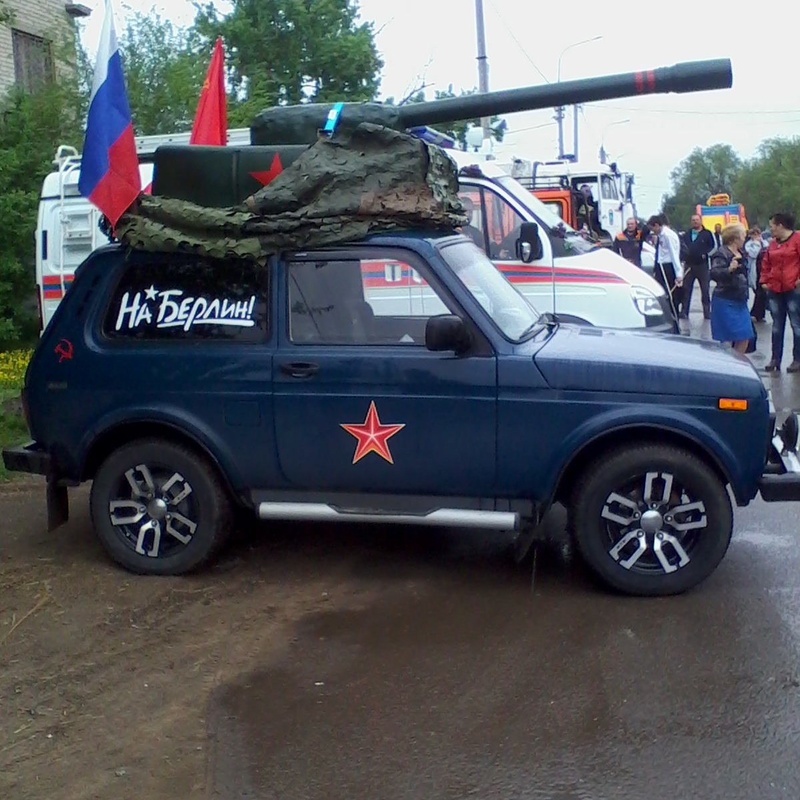 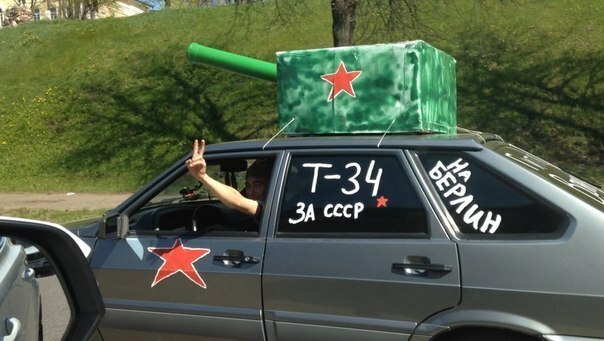 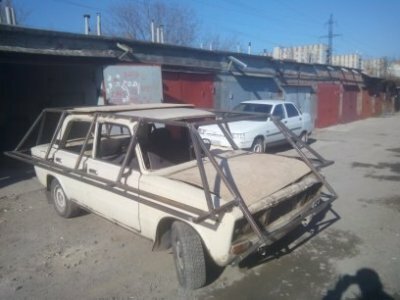 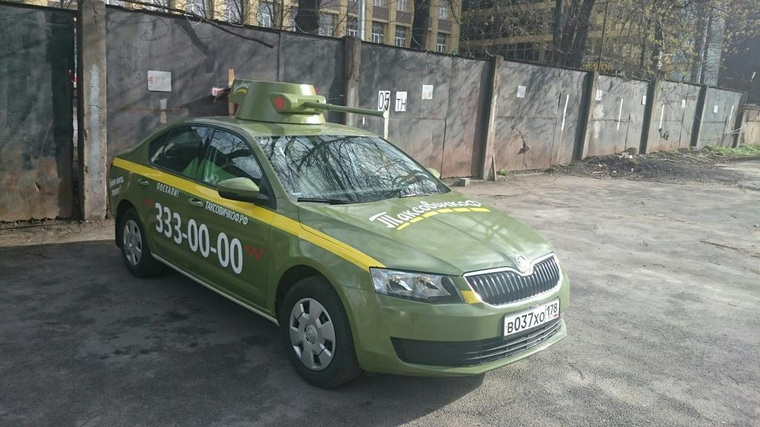 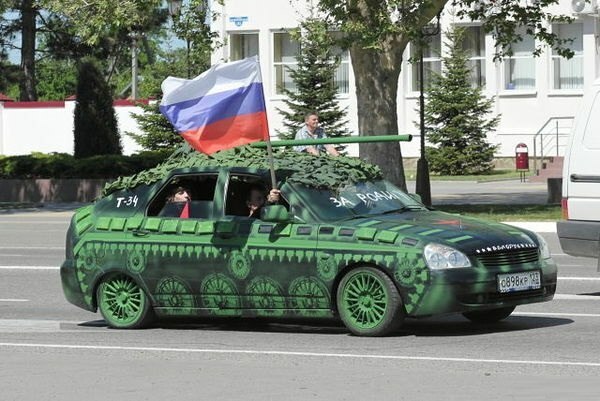 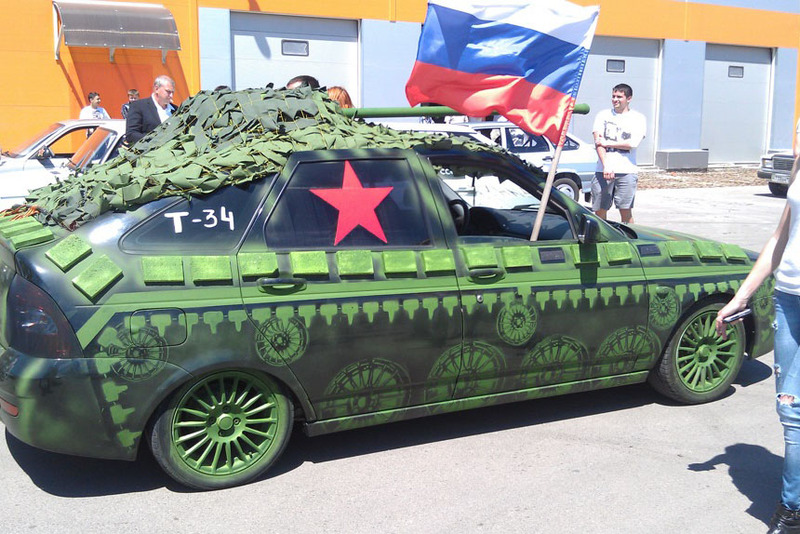 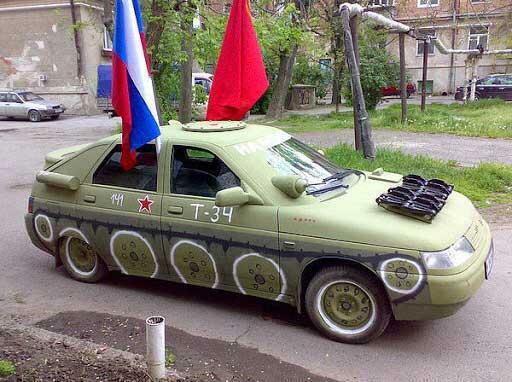 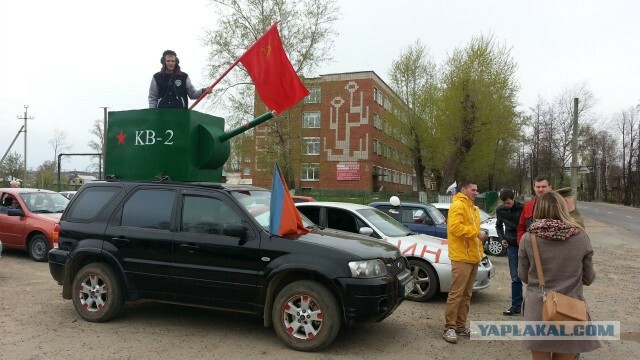 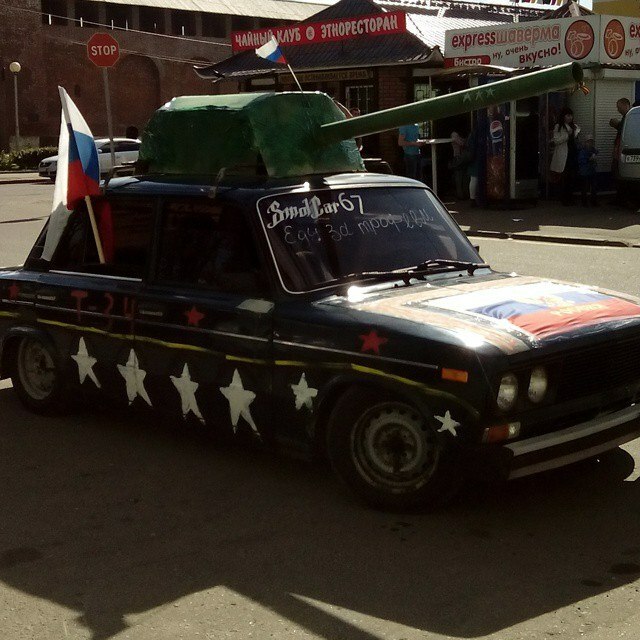 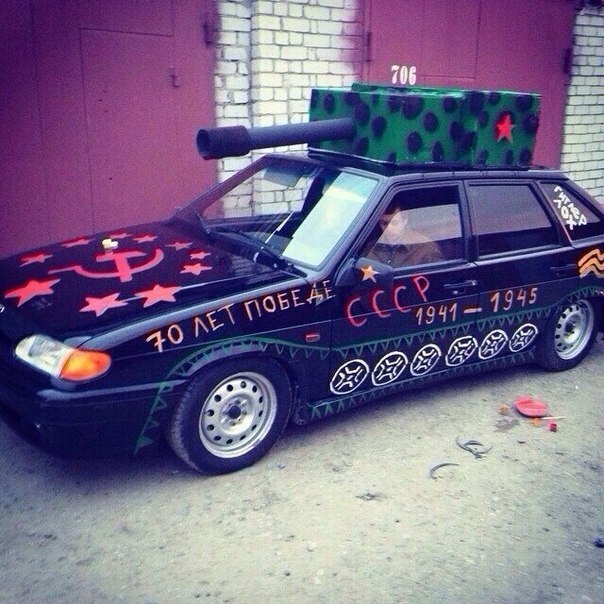 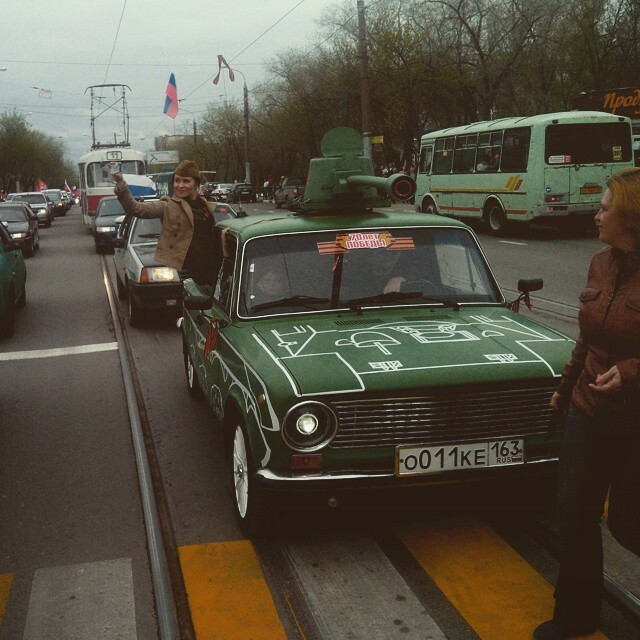 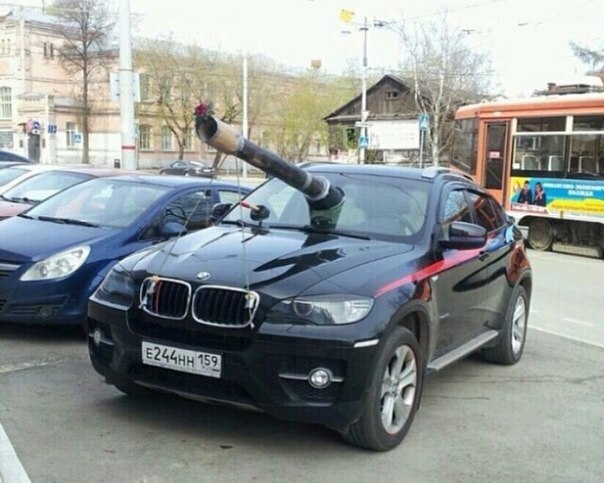 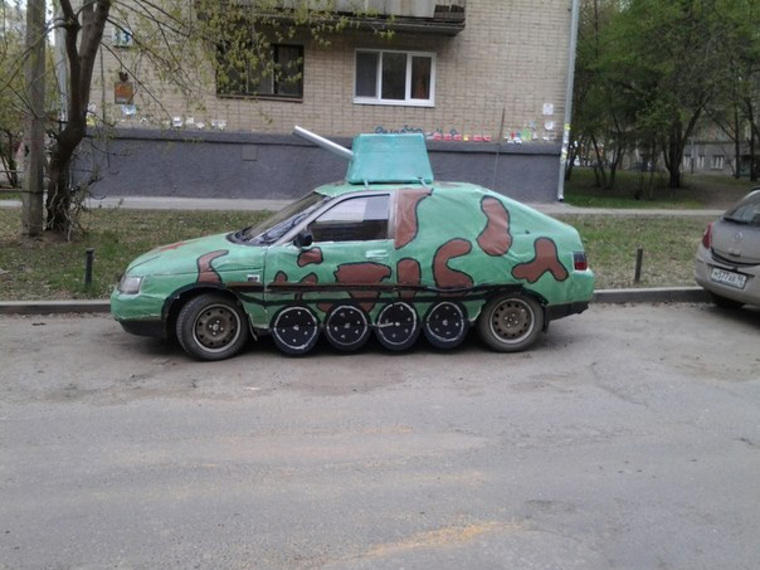 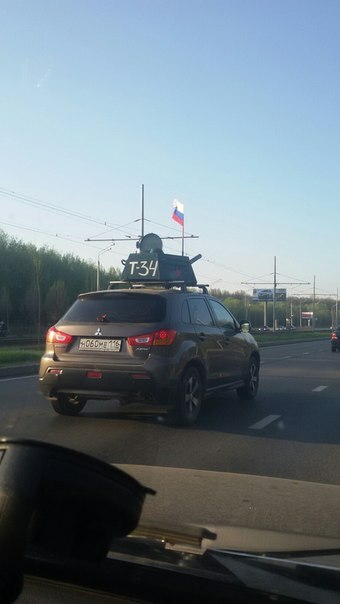 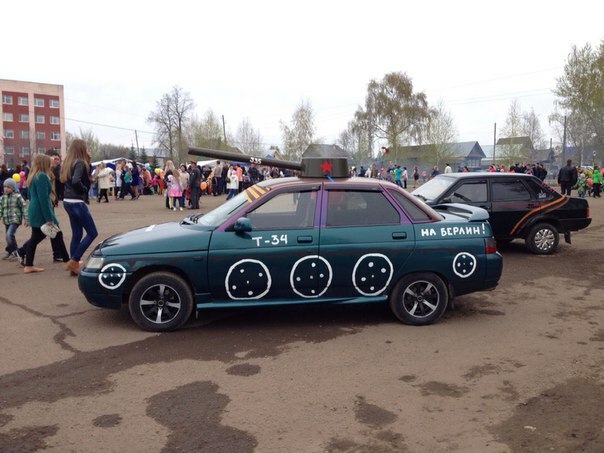 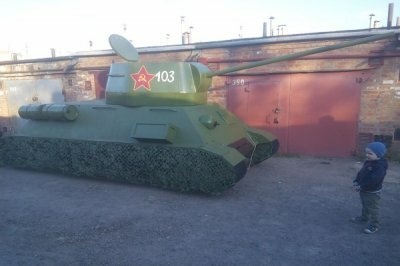 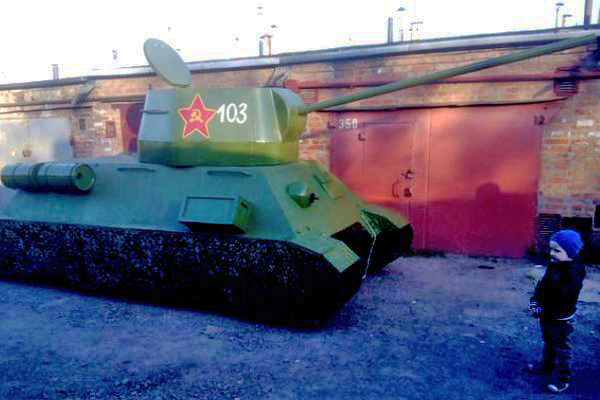 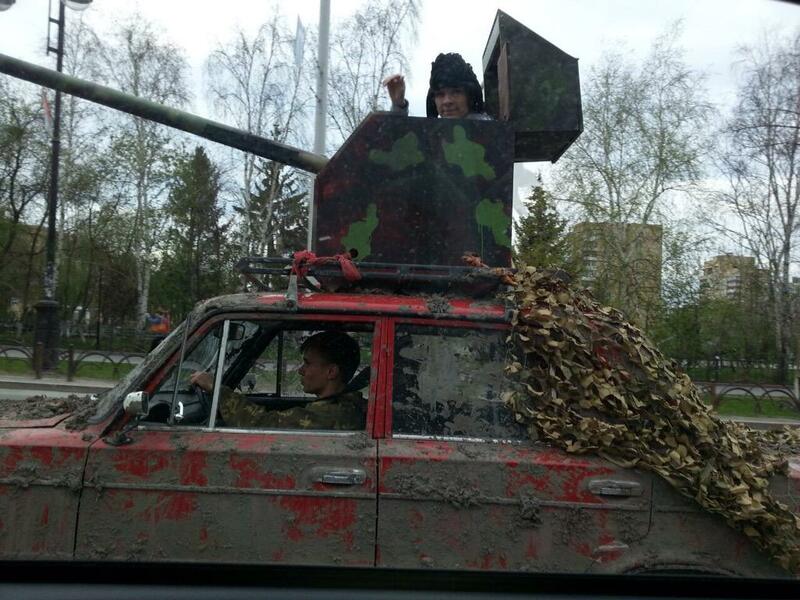 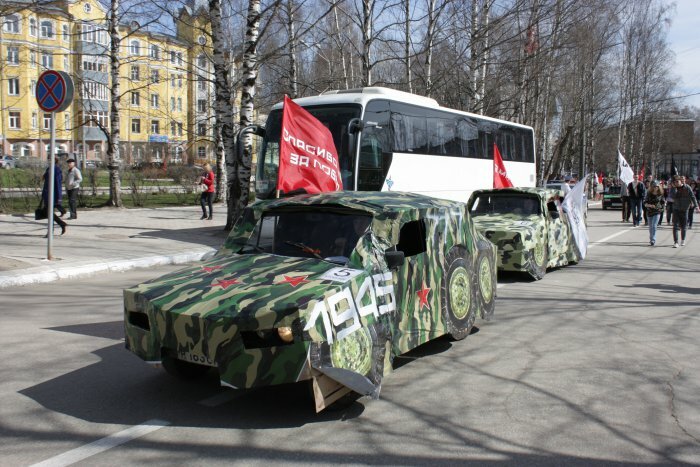 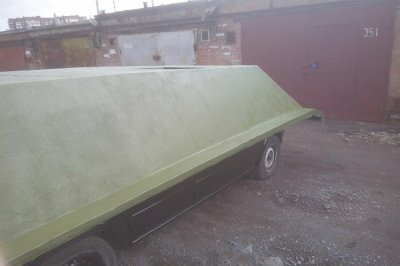 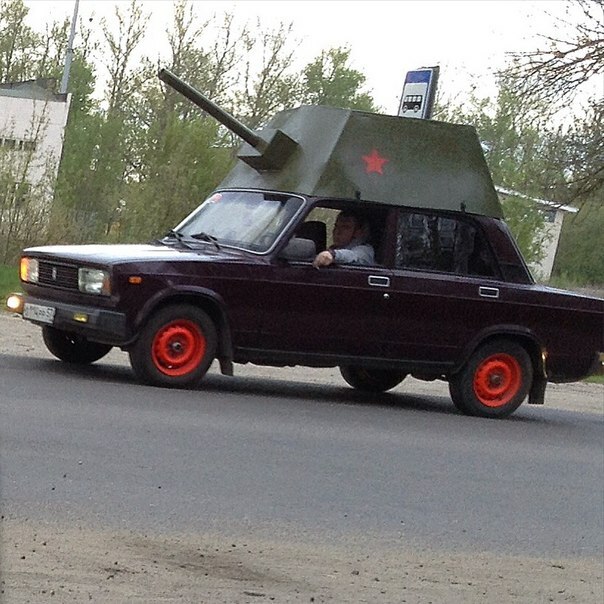 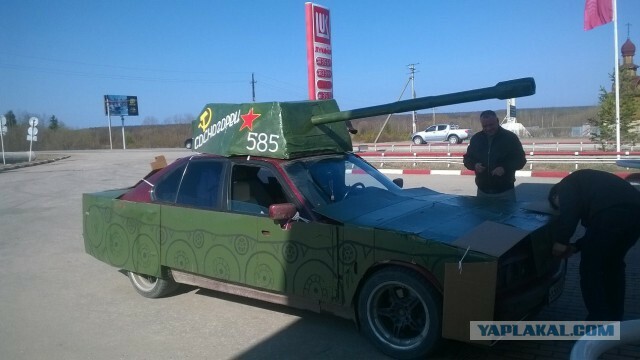 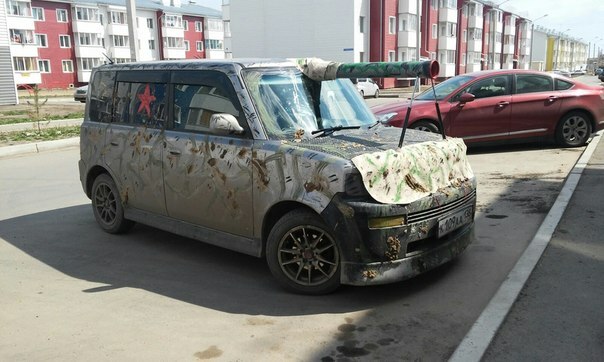 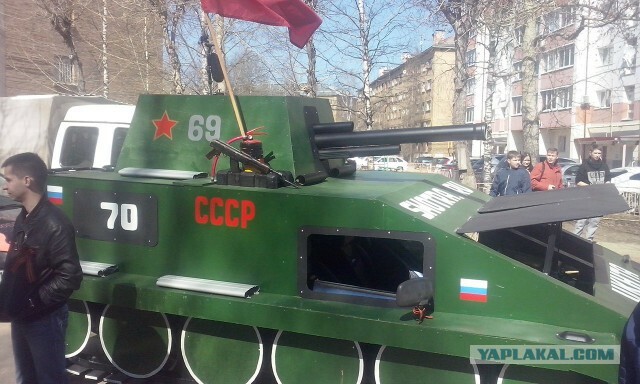 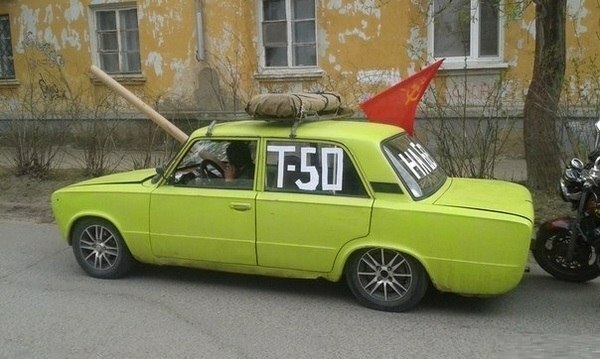 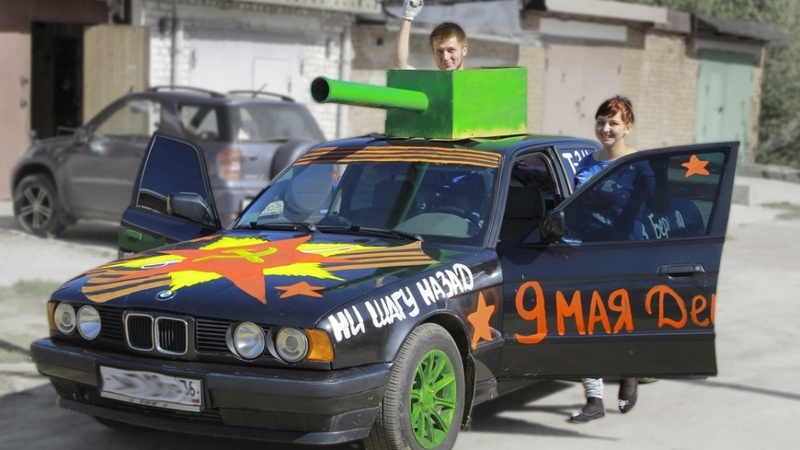 In order to get into the Holiday Spirit, some Russian drivers modified appearance of their vehicles to look like WW2 tanks. 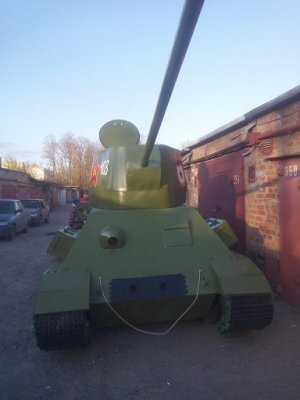 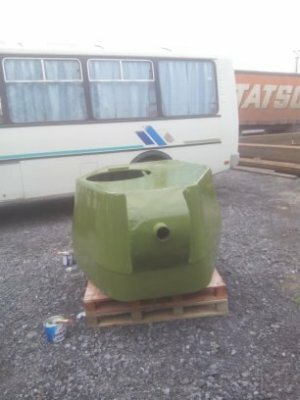 This supposed to look as the glorious T-34 tank. 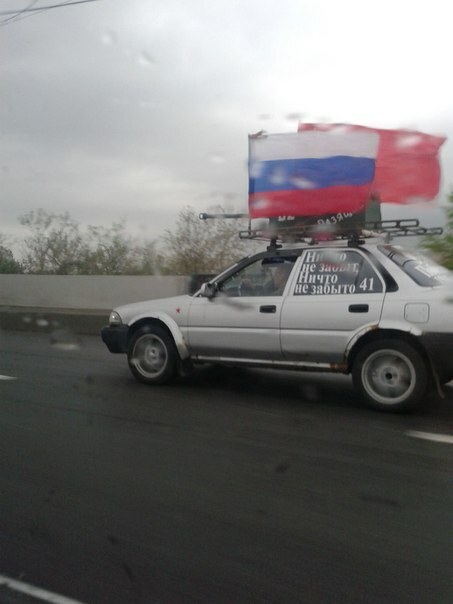 And then there is a guy who got carried away. 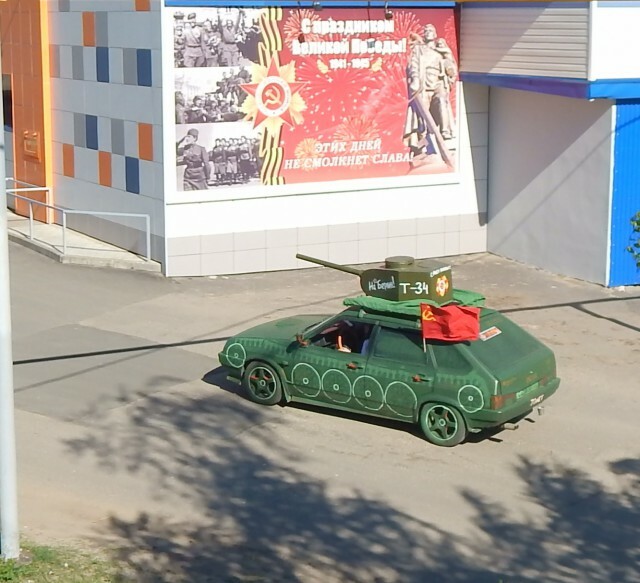 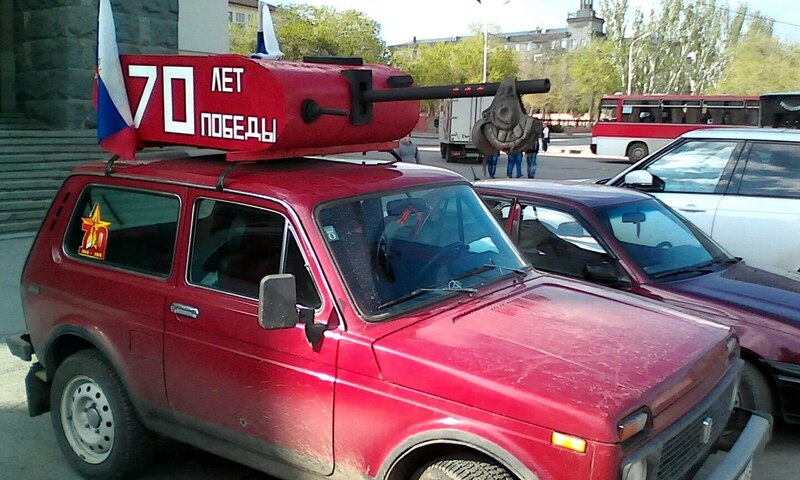 The signs say &quot;For motherland&quot; and &quot;Our armour is strong and out tanks are fast&quot; (these are the words from the Soviet era song).